Simple, precise and reliable. Our digital technology means the most advanced, efficient systems available - Easy to use, easy to maintain. Keeping your pool properly heated can increase its value and lengthen your swimming season. If you’re searching for superior comfort and control, you can find it in The Pool Doctor’s collection of top-notch, highly efficient pool heaters for in-ground pools. Install a world-class in-ground pool heater for the ultimate in luxury. Keep Your Pool Warm This Winter! Nothing beats a heater for adding comfort to early morning lap sessions, after-dark swims or to extend the swim season to earlier in the spring or later in the fall. The key to pool heating economy is combustion efficiency…making sure the heat that is generated is transferred to the pool water with as close to 100% efficiency as possible. 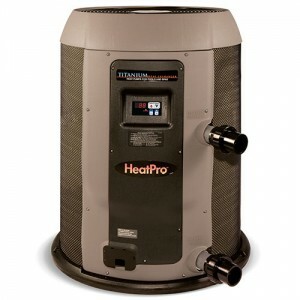 Our high efficiency gas heaters heat up fast. They are economical to run. And they’re built to last.